As summer officially ends, our LBSA Familia is once again reunited to take on this 2018-2019 school year. To kick it all off, our new LBSA Board created events during Week 0 to get to know some new and returning members. But, we would like to officially introduce them on this platform! 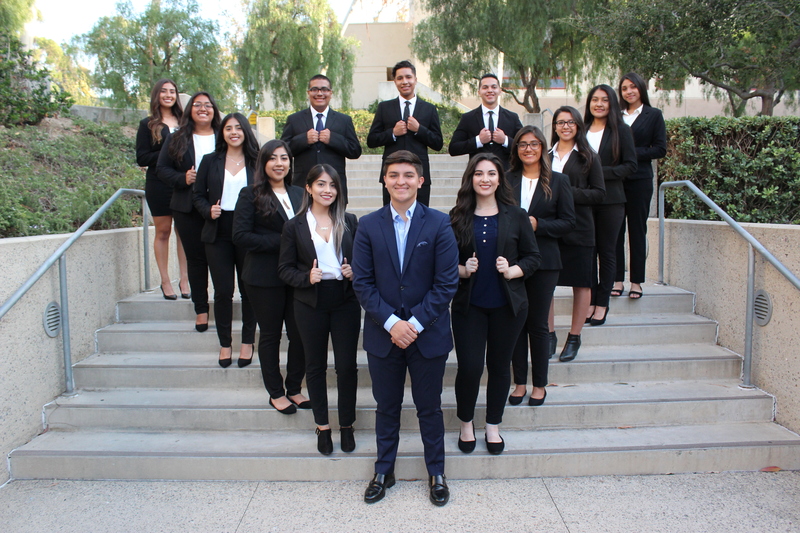 In the image above, we have our Executive Board! Starting from the left is our External Vice President Ailyn Gonzalez. She was previously the Director of IT and is returning to take on a new role as she continues to pursue her interests in sociology, business and information technology. Standing next to her is our LBSA President Charles Alfaro. Charles was previously the Director of Professional Development and helped LBSA grow to fulfill our pillar of Professional Development. He has stepped up this year to furthermore guide LBSA while also continuing to focus on his interests in psychology and management. Lastly we have our Internal Vice President, Lauren Moran. Previously the Director of Social Affairs, Lauren guided our Familia to grow closer while emphasizing our Social pillar. She is excited to be the liaison between LBSA and other organizations on campus and help our members grow and develop their professional skills. Stay updated with our social media for we will be introducing our other Board members!